Official Trailer For ASTRAL Is Within! When Frank Dillane chose to leave AMC's FEAR THE WALKING DEAD, he had high hopes of making a name for himself. It looks like he is doing well as his first work since leaving the series is taking on the lead role in director Chris Mul's upcoming paranormal thriller titled ASTRAL. The official trailer awaits you down below. ASTRAL stars Dillane, Vanessa Grasse and Catherine Steadman. "Coming to terms with the explanation of his mother's untimely death, Alex turns to spiritual contact after the relationship with his father breaks down. As a student of metaphysics, Alex learns of the "scientific" premise of astral projection - the ability to project your spirit into an unseen spatial dimension. Attempting to astral project, Alex becomes plagued by shadow spirits - malevolent entities vying to enter his body to access our world. Alex soon learns that he is not the only member of his family to have been besieged by such beings, as his mother’s dark past is brought to his attention." 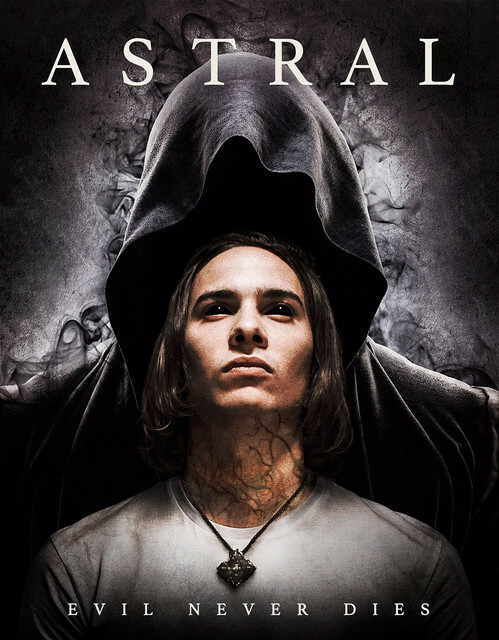 Vertical Entertainment will release ASTRAL in theaters and VOD on November 23rd.